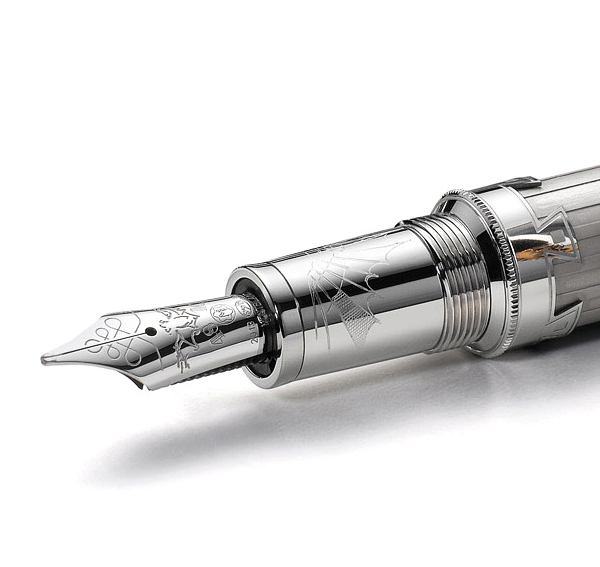 Montblanc’s latest Great Character edition pays homage to the genius Leonardo da Vinci. 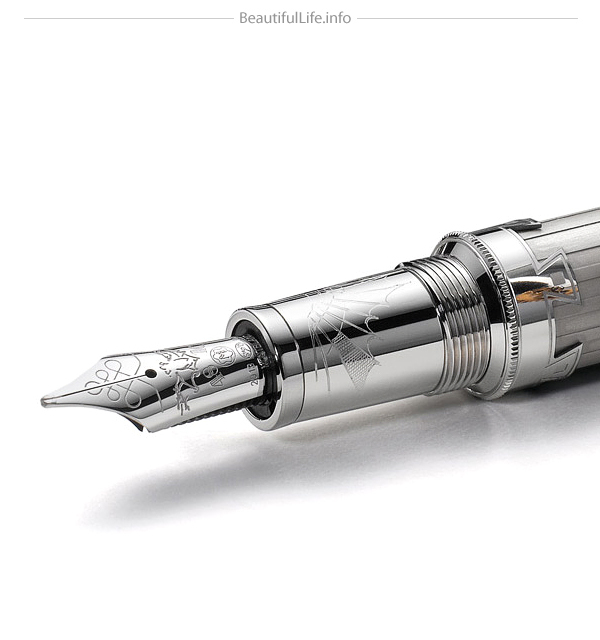 The writing instrument is inspired by his extraordinary inventions and his fascination with the study of flying. 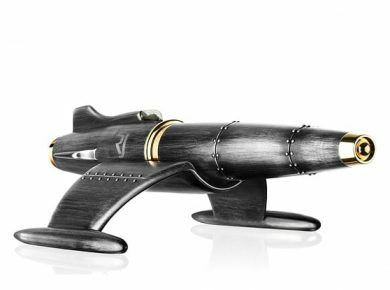 Every detail of the design directly reflects the original sketches of flying machines and the mechanical constructions created by Leonardo da Vinci. The wedge shapes are reminiscent of his method to connect mechanical parts to one another. 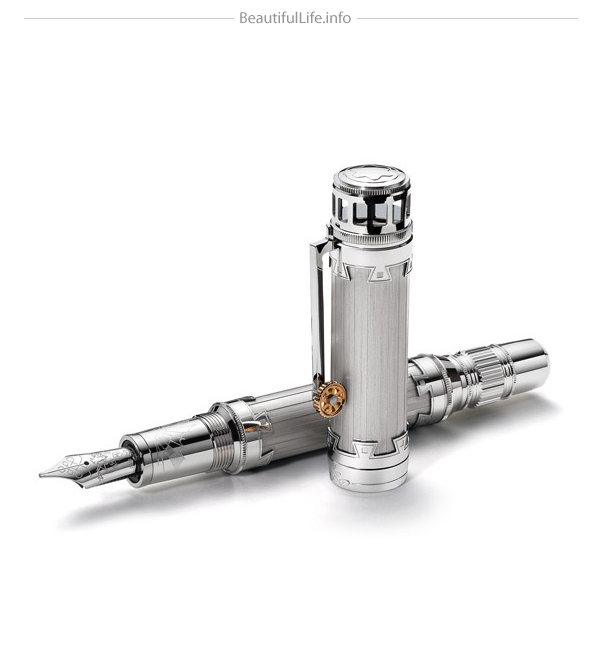 The design of a wing engraved on the section and the bat on the nib pay homage to his study on the characteristics of flying animals, while the mirror on top of the cap, which reveals the Montblanc emblem, is a reference to his research in the field of optics. 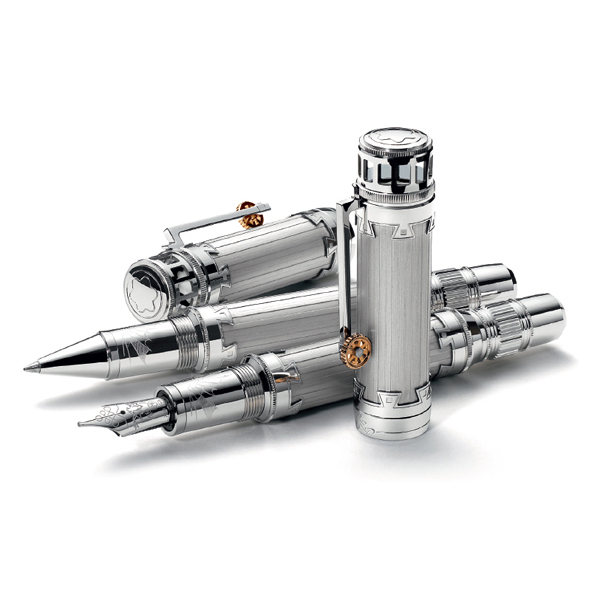 This edition, which honors one of the greatest pioneers of science, will be available in November at a MSRP of €2830.